How long should one wait before visiting a new restaurant? This is a dilemma faced by all reviewers at some stage. 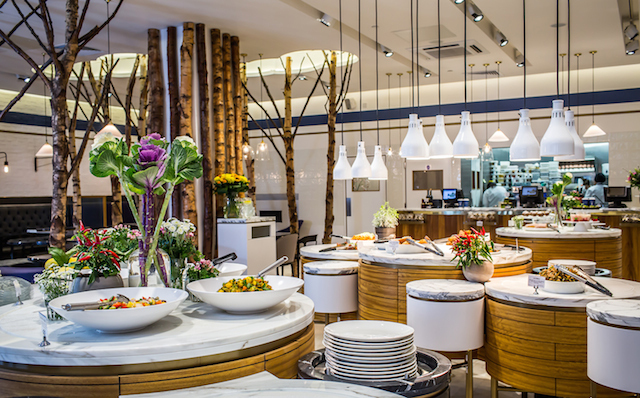 We’d been eagerly awaiting the arrival of Ethos for months — after all, a new vegetarian venue opens in London only once every few years. 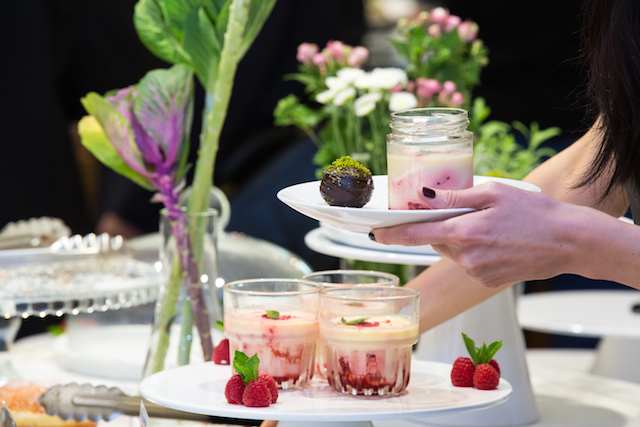 According to reports, the entrepreneurial owner Jessica Kruger wanted a place that was ‘deliciously different’ after being disappointed by vegetarian offerings on the high street: an attitude that matches our own experience. We were so excited we could barely wait. Then, after giving the self-service venue over a week to find its feet, we turned up one late afternoon — only for several of the staff to rush over to the entrance and say: “You can’t come in! We’ve run out of food!” Eh?! The staff then went on to say that the restaurant only serves lunch until 3pm and dinner after 6pm, so we’d missed the boat. Its website clearly states that it “serves food from breakfast through to lunch, dinner and everything in between”. (Subsequently two other food writers told us that Ethos’s food supplies were dwindling when they visited outside peak hours, with only “watery salads at the bottom of the bowl” and “leftover-looking dishes” left). Our second visit, nearly a month later, didn’t start well either. We waited a long time by the entrance to be seated, eventually flagging down a staff member and asking if it would be okay to just go in and grab a seat. This time we’d arrived at the tail end of the lunchtime peak, and the place was buzzy. 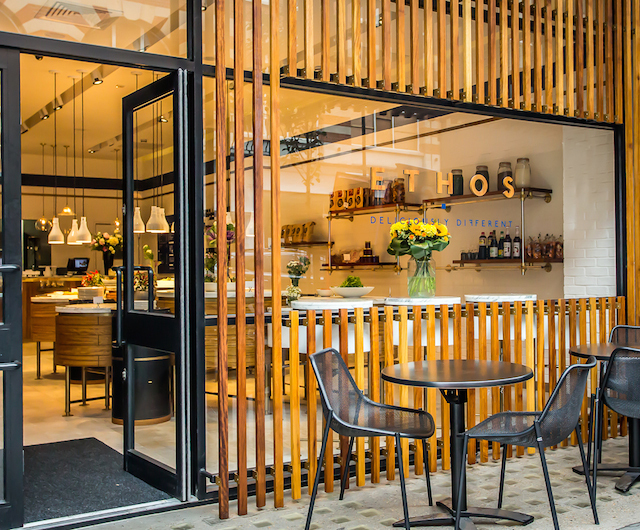 Located in a side street between Oxford Street and Tottenham Court Road tube stations, Ethos launched at the end of September. It’s certainly a beautiful looking space: bright, light and sparklingly contemporary. 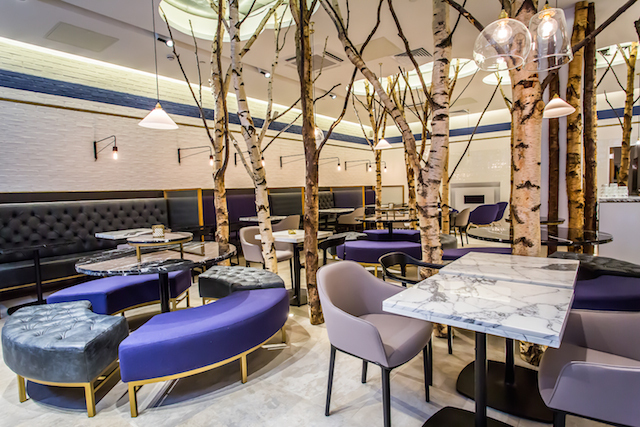 There’s a striking mini-forest of silver birch trees in the centre, sleek black and white marble-topped tables, shiny marble floors, large picture windows, and those pretty glass pendant lights that you see everywhere these days. Attractive bowls of food are placed on service pods to one side, with several dishes marked as ‘vegan’ and ‘gluten-free’; and there’s a dining area to the other, with charcoal and blue leather banquettes around circular dining tables, plus smaller tables at the back separated by retro glass screens. While helping ourselves to the food, a waiter suddenly materialised and asked if we “understood the concept” — the concept being that you, er, help yourself to the food. Then you take your plate to the payment counter at the back to have it weighed. Dishes cost £2.50/100g at lunch and £2.70/100g at dinner (takeaway prices vary). There’s nothing original about this idea: even before Tibits popularised it a few years ago, some of London’s older vegetarian restaurants (now closed) had been doing it for decades. Neither is the idea of serving ‘vegetarian dishes from around the world’ — much-hyped in the trade press — anything new: vegetarianism isn’t a separate ‘cuisine’ with its own cultural heritage so this is, in fact, what most veggie restaurants do. So, then, after an unpromising start, we were relieved to find that most of the food was actually very good. 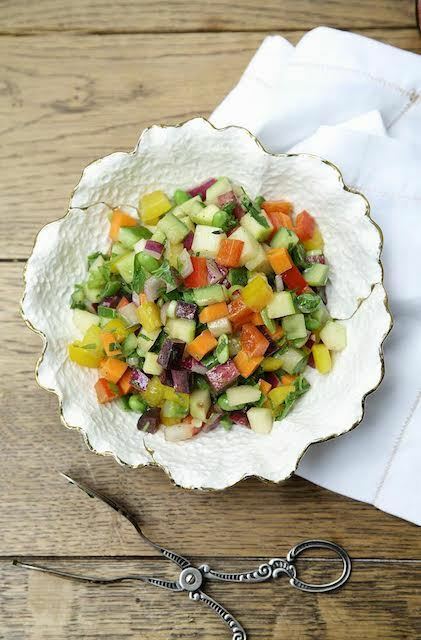 ‘Modern panzanella’ is a British take on the classic Tuscan salad, made with beautiful multi-coloured tomatoes, croutons and baby capers with a bright flavour and the distinct celery-like taste of lovage. Puy lentil salad with cooked kohlrabi and caramelised shallots also has a lively flavour that benefits from a punchy lemony dressing. 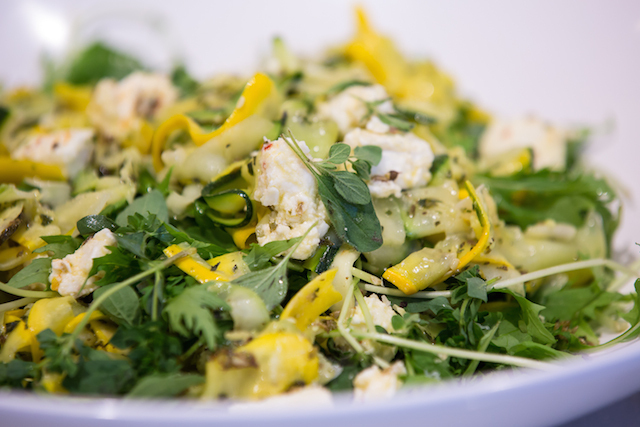 Ribbons of green and yellow courgettes with crumbled feta taste fresh and vibrant. Butternut squash, baby spinach, feta and crunchy toasted pumpkin seeds is another winning combination — like many of the salads, a great marriage of colours, flavours and textures. The quality of good olive oil shines through. Among the cooked dishes, loubieh — Lebanese-style green beans in roasted cherry tomato sauce with cinnamon and cumin — has a good, rich taste. Seitan ‘ribs’ — spice-rubbed barbecue-smoked slabs of wheat gluten that are, to be honest, a little too large for self-service dining — have a good meaty, non-chewy texture. They’re enrobed in a wonderfully spicy, smoky tomato sauce. Thai sweetcorn fritters have an insistent flavour of lemongrass, lime leaves and red curry paste that might be too eye-wateringly hot and spicy for some, but they’re tastier than the bland specimen in many Thai restaurants. We also like the soft, fluffy grated courgette and feta cakes. 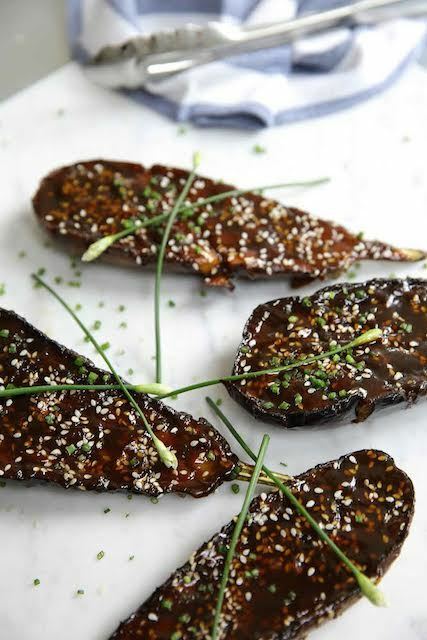 Dengaku nasu, pretty slippers of Japanese miso-glazed aubergines speckled with sesame seeds and mild red chilli slices, has a sweet, earthy flavour. The aubergine flesh is falling-off-the-fork tender, but the skin is leathery. Like many other self-service restaurants, no attempt seems to be made here to keep the hot dishes hot. Instead they languish under brightly lit lamps hanging down on them too close, so although aesthetically the dishes look good, they may eventually dry out. 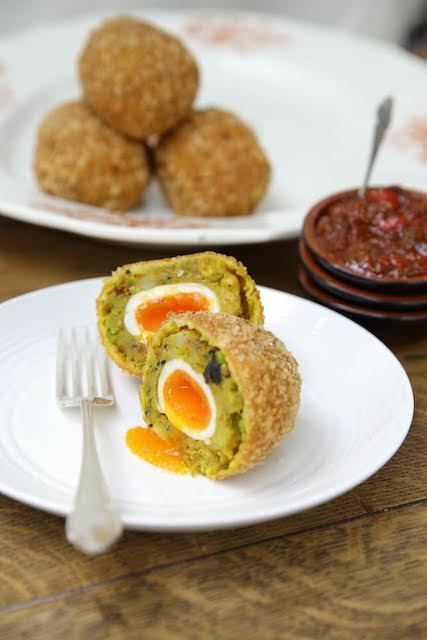 The signature ‘aloo scotch egg’ — a veggie take on the classic Hyderabadi nargisi kofta — is the only (savoury) item separately priced at £2.50. Boat-shaped, bread-crumbed potato and pea cutlet with a soft-boiled egg in the middle looks attractive, but is completely lacking in flavour. The accompanying spicy-sweet fresh tomato ketchup improves it a little. Desserts rather unimaginatively consist of muffins, doughnuts, chocolate truffles and cake pops. These are fine to munch on when you’re sitting in a café with a hot drink, but they’re not appropriate as puddings in an ambitious restaurant. A tiny ‘peanut butter bomb’ rolled in desiccated coconut, separately priced at £2, tastes like the sort of healthy low-sugar snack that you might eat after going to the gym. We were told that the average spend is £10-£11, but we’d obviously piled our plates high as we paid around £20, including a bottle of water. Ultimately, how much you enjoy eating in a ‘vegetarian’ restaurant — as opposed to, say, vegetarian Italian or vegetarian Lebanese — depends on whether your tastebuds are thrilled or confused by eating a variety of global dishes on the same plate, out of context and without a sense of place. By the time we’d finished our meal in the late afternoon, the restaurant was almost empty except for the staff. Our friendly waiter now told us that the kitchen keeps cooking and replenishing the food all day and that “it never stops”. Oh, so the place isn’t closed between lunch and dinner, after all — thanks for clearing that one up. And yet there was barely any food left; customers were walking in, looking at the sparse food bowls, and walking out again. Just out of curiosity, we walked the short distance to that other self-service vegetarian restaurant, Tibits in Piccadilly. It was packed, and the trays were full to overflowing with food. Ethos, 48 Eastcastle Street, Fitzrovia, W1W 8DX. Tel: 020 3581 1538. We review strictly anonymously, and pay for all the food and drink. Images kindly supplied by the restaurant.